Its a Wonderful Movie - Your Guide to Family and Christmas Movies on TV: Merry TV News! "Christmas in July" 2015! Merry TV News! "Christmas in July" 2015! 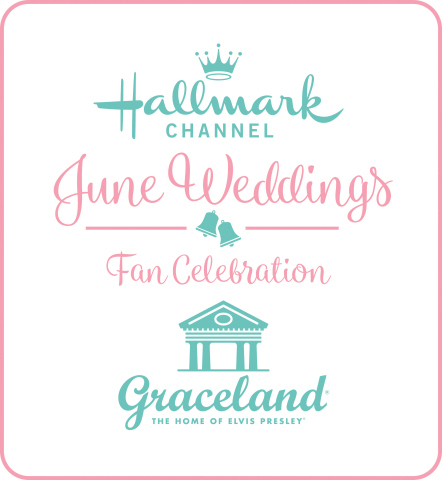 The Hallmark Channel and Hallmark Movies & Mysteries aired Christmas Movies - July 3rd through July 12th, 2015, for their "Christmas Keepsake" and "Gold Crown Christmas" event! There are a few more Christmas Movies, or Films with a little Christmas in them, playing throughout July - so be sure to check the guide below! *The Hallmark Channel Christmas movies will end with Home Alone on Sunday July 12th at 5 PM, when the Kitten Paw Star Game premieres. The Hallmark Movies & Mysteries Christmas movies will come to an end - early in the morning on Sunday at 5 AM. *Please do not directly copy & paste this list. *Note: Please check back for any updates! If you hear any more Christmas Movie News, please share via e-mail or comments below... thank you! Oh, I love The Christmas Card, too! It will forever be a favorite. Last year, it was played on HMM, so it will most likely air there again! Woopie!! I know I'll be chilly glued to the tv set the first week of July; great variety of movies and I hope HMM picks up the slack from HC to give us 24/7!! Good news, Net!! Joy and Blessings "back at cha"!! Yes, I know I'll be glued, too! It's so fun to have this Christmas in July event to look forward to, and yet, it feels like time has already flown since Christmas! I second your Woopie!! Love it!!! ...I feel we are so blessed in having the opportunity to be part of your blogg! I love, love HC as well as HMC and my favorite holy-day is Christmas!! Because we celebrate the birth of Baby Jesus!!! You have no idea how much I look forward to see these movies and how much your blog has touched my life...You are a living testimony of the Love of Our Savior. God bless you and your family in every possible wasy...Looking forward to see the rest of the schedule...Merry Christmas Net... !! Wow!!! Thank you Lourdes N. - your comment was such a Blessing! I appreciate you being such a Faithful and Supportive Follower - it means so much to me! I keep Christmas and Jesus, in my heart, all year long, and I do my best to share His Joy with all of you, everyday! Your comment has Inspired, Uplifted, and Encouraged me in my daily walk. May God Truly Bless You!!! 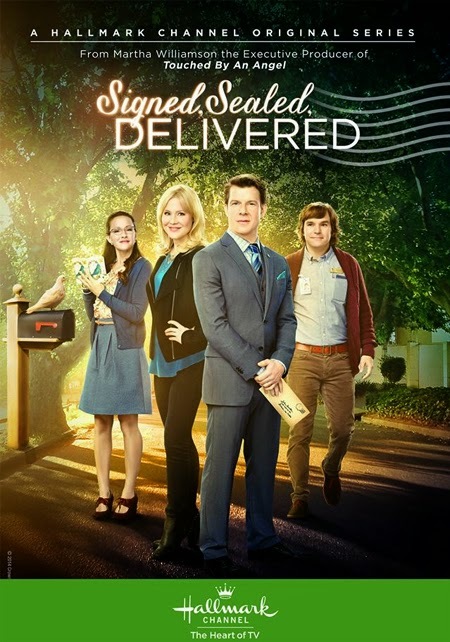 Its doubtful as abc family is stingy with their original movies(movies made by network) because of hallmark competition. Might be loaned out to public stations or pax. Speaking of abcfamily originals. I miss Christmas Everyday. Also, it wouldn't have killed them to just run the marathon through Friday, 7/17 -- just to make it a full 2 weeks. Maybe that way they could have worked in those movies you mentioned that are missing. I cannot believe that "Angels and Ornaments" -- a new movie from 2014 -- is NOT going to air? And where in the heck is "Finding Christmas" -- one of the best movies from 2013? "The Christmas Shepherd" is also missing, and that was one of the best ones from 2014. Once again, no "Farewell, Mr. Kringle" in July (it wasn't on last July either). And, seriously -- only ONE showing of "The Most Wonderful Time of the Year," which is one of the best Christmas movies Hallmark has made?? There are only two airings of "A Very Merry Mix-Up," "The Christmas Ornament" and "Snow Bride" -- all of which are among my favorites. ???? "Let it Snow" gets 3 airings. "A Bride for Christmas" gets a few airings. Four showings of "Northpole"?? Seriously?? At least, mercifully, they left "One Christmas Eve" and "Mr. Miracle" off of the line-up -- those two movies are extremely annoying. Honestly, I can do without "Home Alone." I am not watching Hallmark to see that movie -- I can see that anywhere, any time. I am watching Hallmark to see Hallmark's own movies, and there are so many of them missing from this list that could have filled the spots that "Home Alone" is taking up!!??? Net -- where did you find this schedule? I check the same places you check, I think, to report back to my site about Hallmark Christmas news (including the press releases). I ask because I can continue to check for info on the Hallmark Movies & Mysteries CIJ line-up, but if you didn't see it where you found this list then it makes me wonder why the info isn't available yet.. The only sense I can make of this list and the obvious omissions is that some of the movies may air on Movies & Mysteries in July -- perhaps all of the ones I mentioned above and the ones that you mentioned, along with "The Christmas Card" and "A Christmas Wish." I'm just grateful they play them at all!! Blessings to you to Net, and thanks for all you do!! Thank you so much Anonymous above, for your great feedback! It sounds like You are a Big Hallmark movie fan!! You were absolutely right in your guess for the week in which Christmas in July would air. Excellent deduction! Also, it is typically based upon when the Keepsake Ornaments come out in their stores. As, for the movies chosen. I think it's great fun they added Home Alone, a true Christmas classic, to the schedule, but you are right it is one that is played quite often on various channels. And, then... The Most Wonderful Time of the Year, I so agree with you, as one of the Best, one showing is just not enough! I'm a big Hallmark Christmas movie fan. As I mentioned in another comment somewhere, I moderate a forum on which I lead threads devoted to Halloween and the Holiday season all year long, and I constantly talk about the Hallmark Christmas movies. I have gotten quite a few people on board with watching them, and following the Countdown to Christmas. I check the Hallmark press releases daily, as well. I always predict when Christmas in July will begin and when the Countdown to Christmas will begin (I am predicting the start date of the latter will end up being 10/30 or 10/31 and not 11/1 -- which is the current start date). I am aware of the Keepsake Ornament premiere/preview weekend, so I know that it always has to be included in the July movie event. There are five showings of "Home Alone" listed on the Hallmark Channel website -- ten hours of "Home Alone" that could have gone to actual Hallmark movies that are 1) not available on DVD at all ("Finding Christmas," "Angels & Ornaments," "The Christmas Shepherd," etc.) and 2) not included in the July schedule. Ten hours of "Home Alone" in a 10-day event like this is way too much. Last year, "Angels Sing" -- a non-Hallmark movie -- only aired once or twice in July. All of the Hallmark movies are only being shown 1-4 times, as opposed to the 5 showings of "Home Alone." I am always glad to have another Hallmark Movie fan - add to this site! Thank you again and again for your informative comments! We all appreciate it - so much!!! This is what I have been waiting for since January!!! I 💟 Christmas movies! Thanks for the information. Where's the Christmas card ((I'm glad I can record all these movies again since I lost them). The Christmas Card will air July 11, 2015 at 9 PM/8c. on Hallmark Movies & Mysteries. So far, it is only scheduled once! Net -- I posted earlier with my comments about the CIJ line-up, but I wanted to pop back in and let you know that I just saw a scroll at the bottom of the screen that said that Hallmark Movies & Mysteries' "Gold Crown Christmas Week" begins on July 3rd as well. So, both channels are getting involved once again. So the question is... what will be on that line-up? I am guessing that's where "The Christmas Card," "November Christmas" and "A Christmas Wish," among others, will end up. Yes, all three of these movies will air on HMM during Christmas in July! No, it doesn't look like this movie has an air time. Maybe, we will see it back in November and December. "The Most Wonderful Time of the Year" is extremely popular with viewers -- I can't even count how many times I have read people's comments about that movie. Most people seem to think (and I agree!!) that it's one of the best Christmas movies Hallmark has ever done. That's why it is shocking that it is only going to air one time in 10 days. Only once. That's the real surprise. As for "A Very Merry Mix-Up" and "Call Me Mrs. Miracle" -- both are also extremely popular, so I fully expected them to be on the list (I love AVMMU). "A Royal Christmas" was one of the most popular new movies of 2014, so it is no surprise (to me) that it is on the schedule. But, take "Naughty or Nice," for example (also one of my favorites) -- it was one of the new movies of 2012. It is not that old. It's only airing once. "Trading Christmas" from 2011 will be on more than once. "Single Santa..." -- a much older movie -- is airing more than once. And "A Bride for Christmas" -- also one of the new movies of 2012 -- is running 3 times. It doesn't make sense! Lol. So I am just a bit confused by the schedule in that it's not balanced and equal. One showing for this; four showings for that; two showings for this, etc. It's very random. I don't like that some of my favorites are only going to be on once or twice, BUT I would prefer a more balanced schedule across the board -- like maybe each movie could air 2 times only, and then there would be more room in the schedule for some of the movies that were left out (some of which are probably favorites of other viewers). That way, at least everyone would know that each movie was only going to air twice and that's it. The way it's lined up now, I can tell that a lot of people will miss that one showing of "The Most Wonderful Time of the Year" and not even realize it was on. They will think that Hallmark skipped it, OR they will think they missed it and expect it to be on at some point again because they will see that other movies are airing multiple times. You're right -- it is very interesting and curious to ponder what goes into programming these marathons, and how they decide what to air, when to air it, and how many times to air it! I'm the original poster. :) And out of all the faves I listed above, The Most Wonderful Time of The Year is my ABSOLUTE number one fave! I love it!!! I watched it when it first came on years ago and it's remained at the very top of my list years later. It's an older one, so I had no idea that it's a fave among lots of other people! That's great! It in fact IS one of the best Hallmark movies ever done--I agree! But for it to be popular, and I don't know if it's just me, I don't see it shown a lot during the holidays. Yeah, it's shown here and there, but definitely not in heavy rotation like countless of others are (I can do without 80 showings of Snow Bride, A Boyfriend for Christmas, and Window Wonderland this year! Please!). Even though all my faves are airing, I'm going to miss the ones airing during the weekdays because of work, so I'll have to DVR 'em. Every year, the Countdown to Christmas schedule is never balanced. So weird. There's just no rhyme or reason to us viewers. It's all so interesting to me! I adore "Snow Bride" (another favorite of mine) and have no problem with repeats of that because it's not available on DVD anywhere -- and it's from 2013, so it's not old -- but it's only on twice during this whole July event. I think it all depends on what each person likes -- to you, it seems like "Snow Bride" is repeated a lot because it's probably not one of your favorites. To me, because it is a favorite, it seems like it is not repeated often enough! Lol. This is why I say that the whole problem could be solved if everything were just repeated/shown the same exact number of times over the course of any marathon. Rather that showing one movie 2 times and another movie 10 times in Nov-Dec, they should just give every movie the same number of showings so everyone knows what to expect. Yes -- TMWTOTY is often commented on by people as being a favorite. People seem to name it and "The Christmas Card" repeatedly when they talk about Hallmark holiday favorites. It's already something like 7 years old at this point, and it's available on DVD, so it's great that it is even included in a short marathon event like this at all -- but I think it should be on at least twice because it IS one of the ones that is commented on and asked about all of the time. If "Single Santa..." (which is even older) can be on more than once, then TMWTOTY should be too. I can do without 4 showings of "Northpole" as well. The thing that bothers me most about this July schedule is that 10 hours of it are being devoted to "Home Alone." I pulled up "Home Alone" on the Hallmark website and found that it is actually scheduled to air FIVE times in this 10-day marathon (more than what is shown on the above list). Ten hours are being devoted to this movie that is not a Hallmark movie, and is something that airs on other channels every single year. That same ten hours could have gone to some of the Hallmark movies that were left off of the list (especially the ones that are NOT available on DVD at all, such as "Finding Christmas"). The programming makes no sense this time around -- and I say that being someone who is usually very accepting and very forgiving of all the marathons. I love the 2-month marathons. I don't mind the number of repeats because I like to see my favorites multiple times, and I'm sure other people like to see theirs multiple times -- and we don't all have the same schedules or favorites. I have no problem with the Countdown to Christmas starting as early as it does, or even earlier (if they need to do it that way), because they have a lot of new movies to premiere before Christmas. So I am okay with all of that -- but when they take away 10 precious hours from a short July marathon to run a 25-year-old theatrical movie instead of some of their own Hallmark movies (which are missing from this list), then I take issue with it! Lol. I'm so glad, Anonymous posters (above), you are seeing so many of the wonderful Christmas Movies you know & love! I, too, wish they could find time more time to air "The Most Wonderful Time of the Year". It is one of my faves, as well. I just love it! I think I know so many of the lines by heart. I guess we will have to be sure to watch it when it does air - so they know it has great ratings and will be one to definitely air more of - in the future. I'm on vacation this week....looks like the DVR will be hard at work while I'm gone!! The last couple of years Hallmark has also had a 4th of July-themed movie debut, like Banner 4th of July. Wonder if they'll do that this year? You are so right!!. I haven't heard of any thing 4th related, yet, this year. Hmmmm? Wonder if they will even play those old ones, since Christmas in July begins on the 3rd? I just checked on Hallmark's website, and it shows that "Home Alone" is actually airing 5 times over the 10 days (July 5, 6, 10, 11 and 12)! Five times for a movie that is 25 years old, and that anyone can watch any year, any day, any time. That is ten precious hours of this Christmas in July event that are being devoted to a non-Hallmark movie, when there are so many actual Hallmark Christmas movies that were left off of the schedule! And movies like "The Most Wonderful Time of the Year" and "Naughty or Nice" are only airing one time each. It really makes no sense. I think they are working on ways, each year, to get more and more of these great movies released on DVD. Last year, many of them were available through Walmart, first.. Then later, also through Amazon. I am hoping to see more Christmas movies released this year, including past favorites! So excited about July Christmas line up of movies!!!! Why are some great classics left out like --- "The Christmas Card" or Christmas with Holly" or "Moonlight and Mistletoe"??? Will Hallmark Movies and Mysteries Channel be included this year, I and many many other fans really enjoyed Christmas in July and again just like the channel was for the true holiday season, it was great to be able to choose between the two channelsl, loved having both channels running 24/7! if you missed a movie it would be on again, such comfort. Please rethink the current list to include all the classics and please don't rerun the newer movies, like "Northpole" 4 times so there is not any room left and if you could please make room for the favorite classic movies that were left off of the line up that would be Christmas comfort in July. If the other Channel is seriously thinking of being added a lot of space is also added so maybe that is why not everything has been listed yet, please let us know what is going with this, we all are really excited to feel Christmas in July through these movie favorites. Can't wait for July 3rd and for the Countdown to Christmas on November 1st. Thanks for reading and hope to see all of the classics in July and of course during the regular holiday season starting November 1st. and to see both stations! Also really enjoyed Januarys movies this year! Thank you, for your comment, Lori. Since Hallmark is currently re-arranging their July schedule, hopefully they will read all of our feedback and take it into consideration. By the way, I love all the movies you listed, too... And, I hope to also see them on the schedule that week!!! Where is The Christmas Card? Too many of the new movies that were not so good. The Christmas Card is typically shown now on Hallmark Movies & Mysteries, so I'm hoping it will be scheduled there, again this year! "The Christmas Card" is scheduled for Saturday, July 11th, on the Hallmark Movies & Mysteries Channel. The actual "Schedule" on Hallmark's site is not filled in all the way to July 11th just yet, BUT if you go to their website and search for the movies you like by title, then click on the titles to pull up the page for the movie, you will see a "View All Showtimes" tab pop up in the upper right corner IF the movie is scheduled. 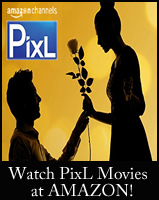 Hover over View All Showtimes and you will see a list of all of the times when that specific movie will air. I even found some movies that will air in August by using that trick. However, if you do not see a View All Showtimes tab on the movie's page, that means it is not on the schedule. That's what happens when I pull up "The Christmas Ornament" and the "Mrs. Miracle" movies -- no View All Showtimes tab, which means they are not on the schedule. That could always change, of course, but there are only about 3-1/2 weeks to go until Christmas in July begins, so the chances are less likely as we get closer to the event. Yes, that's how I do my investigative Hallmark movie searches, too! I love it! It's a great way to see the next time you can catch a favorite movie. I considered going through each movie, and filling out the schedule, but that's what I did last time around and the schedule became completely re-arranged... so I'm going to wait for the next schedule to come out before adding to the list. I wouldn't be surprised if the schedule changed mid-week into the Christmas in July airings, as Hallmark sometimes rearranges their schedule. Thank you for keeping up with Christmas movie schedules!!! Blessings to you!! Thank you! I do my best, but I must keep up with schedule changes & updates, too! It can be a challenge, but I so appreciate all your feedback & support! Blessings to you, too!!! First, let me say that I love Hallmark Christmas movies and Christmas in July!!!! I also like the new format of only playing 4 movies during the weekdays during Christmas in July. It keeps it simple and it's not so many thrown at you all at once. But why are they playing Home Alone so many times? Also, A Princess for Christmas is playing Tuesday but then also on Wednesday. But The Christmas Card isn't playing at all and I thought it was voted the most favorite movie on this site last year. Either way, I love Christmas in July and I can't wait! Thank you for your comment, Clark! ;) Great name! Hopefully, we will see The Christmas Card pop up on the Hallmark Movies & Mysteries Channel, and it would be great if they decided to play Home Alone, a few less times. I personally wish during Christmas in July week, they would air the Christmas movies all day and night, just for that week! Thank you, again, Clark! I'm so looking forward to It, with you!!! We even put up a small Christmas tree for Christmas in July when the Hallmark movies are playing. I agree, I can't wait to see what the new Christmas movies will be about!!! I really appreciate your site. I am Clark W. Griswold on Facebook and also run the facebook page titled "The Griswolds". I try to promote your page by pasting your links. Thanks again for all of the Christmas movie info your provide! Thank you Clark W. Griswold for sharing my link. That is so thoughtful of you! I love that you put up a small Christmas Tree during Christmas in July - that is so cool! You truly have the spirit! I tried to look up your Facebook page. Is this the right link? Thank you for your comment, Dixie! Stay tuned... We will probably see The Christmas Card listed on the Hallmark Movies and Mysteries schedule in July! Let's hope! "The Christmas Card" will air July 11th on the Hallmark Movies & Mysteries Channel! I am a big fan of November Christmas but I can understand why it's not high on a lot of people's favorite list because there really isn't much about Christmas in the movie. But it's still a sweet heart-tugger. Hopefully we'll get a new movie this July. Last summer, the Harry Connick Jr. movie was a nice treat. Even though it wasn't a Hallmark production, my family enjoyed it and it was a nice movie. Most of the movies I've seen so many times already and will watch them over and over again during the holiday season so a new movie in the middle of the summer would be great! I love "November Christmas" (and there are several great actors in that movie) -- but I can see why it ends up on the Movies & Mysteries Channel more often than on the regular Hallmark Channel. I'm sure that's where it will be in July -- on HMM. The HMM channel seems to feature the movies that are a bit more serious, or the ones that have, dare I say, a bit more depth. Whereas the movies on the regular Hallmark Channel tend to be more lighthearted, lightweight, and not so serious. I really appreciate that the channels' themes are broken up like that -- when I am in the mood for the kinds of movies on HMM (like "November Christmas" and some others), I go to that channel. Most of the time I stay on the regular Hallmark Channel because I prefer the kinds of comedy-holiday-romance movies or holiday-magic-gone-awry movies that air on that channel. "Angels Sing" was not a Hallmark movie, true -- but it was a movie that I think no one had ever heard of. I don't know one person who recognized that movie when it showed up in the listings. It flew under the radar and must have gone straight to DVD after it was initially released. When it aired on the Hallmark Channel it seemed to fit right in, somehow. The storyline was inoffensive and tame enough to mesh well with Hallmark's other fare, and I think that a lot of folks thought that "Angels Sing" was, indeed, a Hallmark movie! Lol. Also, I had no problem with "Angels Sing" airing last year because it only aired 2 times in July at the most -- possibly only once. I only watched it when it aired the first time, so I can't recall if it was repeated overnight -- but it disappeared from the schedule after that, until the Countdown to Christmas began later in the year.... Unlike "Home Alone," which is scheduled to air 5 times in July (according to the Hallmark Channel website) -- more than any of the actual Hallmark movies on the schedule. That's too much. Once or twice, fine. Five times for a non-Hallmark movie that everyone has heard of or seen in other places over the last 25 years = overkill. In July, we are supposed to be getting behind-the-scenes looks at/info about some of the new movies coming to the Countdown to Christmas later this year, and supposedly there is going to be a rare preview/sneak peek of one of them -- I won't mention the name of the movie or the actor in it, as I'm sure that Net will report on it and I don't want to spoil the surprise. I don't know if the preview means that we will see the entire movie -- sometimes channels will offer "previews" of certain things, and then end up showing the entire piece -- or just one scene from it that has already been shot. But it's a hint at what is to come in the Fall! Susan, I so agree, November Christmas is such a touching movie, and it has such depth and meaning. Anonymous above is so right, it is more likely to air on HMM due to it's intense, emotional storyline. HMM does seem to carry more of those types of movies. I also agree, Susan, that it would be fun to see a new movie during Christmas in July, but so far I haven't heard any news on that, but as Anonymous mentioned above, I do expect we will see many commercials & previews of Christmas movies to come, which will also be fun to look out for! That is so sweet, Anonymous, that you didn't want to spoil the surprise, but since anonymous left their comment, above, many of you have probably read the press release I shared saying the preview will be - Lacey Chabert's new Christmas Movie, Which currently has the working title: A Family Christmas! I just saw a new, detailed press release (dated today) -- you know where to look for it ;-) -- with info about the Keepsake/Christmas in July event, as well as about the Countdown to Christmas! 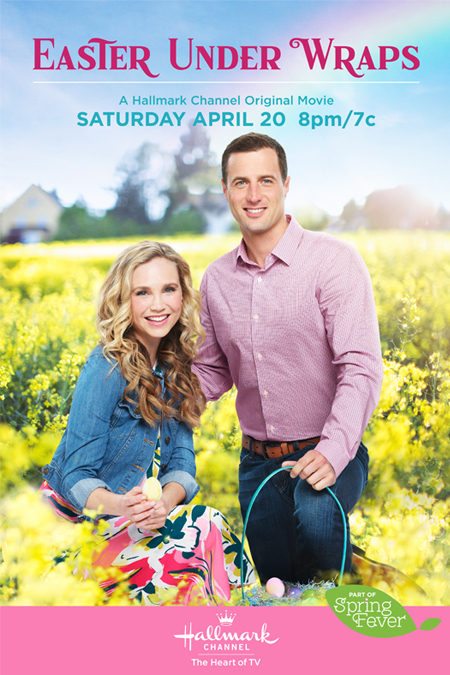 There are some new details about both events on both Hallmark Channels that we had not yet heard before now! It's so exciting! That was a great press release! I appreciate your heads up - Anonymous / Hallmark's #1 Fan! They are still updating, so stay tuned... They may be added in, either channel, just yet!!! Thanks for all the updates. 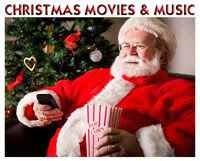 This site has been my go to site for Christmas movie listings for the past few years. Love it. Love it. Love it. Keep up the great work. Oh, Thank YOU!! I appreciate and love all of your Support! Hallmark Movies & Mysteries will, indeed, have their very own schedule of Christmas movies.! So it will be fun to see which ones they play... and also fun for viewers to have either option for watching great Christmas movies! However, it's too bad they couldn't each play a different week in July, so viewers didn't have to choose between them! I love love the Hallmark's Christmas movies. I look so forward to them in July! I wish they were on the whole month of July! Oh, me too! That would be fabulous! Any idea when Hallmark will release their final Christmas in July lineup? Any day now... It could happen! I'm excited, too!!! It looks like it will start on July 3rd with Hitched for the Holidays according to the Hallmark Channel's online schedule. Yes, the Hallmark Channel will start with Hitched for the Holidays! Joey Lawrence is hilarious in that movie! Don't like Home Alone. Why waste so many great Hallmark movies by showing it. Add some of the ones from past years, like Fir Crazy, The Christmas Ornament, The Christmas Card, and so many more. Please revise the schedule for all of us avid Hallmark lovers💜! Thank you. I think it would be best to give every movie the same number of air times. Perhaps every movie should get 2 or 3. I personally enjoy Home Alone, but I still think 5 airings is too much in one week! However..... Whatever, they decide, I know we all love the Hallmark Christmas movies... and we'll be watching!!! I agree with you, Anonymous -- I am not a huge "Home Alone" fan, but even if I were I would think it was out of place on the Hallmark Channel schedule in a 10-day event, where it is currently scheduled to run at least 5 times in July (I've seen it drop back down to 4 times, and then climb up to 5 again -- AND it is going to air after July too). It is taking up a lot of hours that could have gone to movies that are apparently being left off of the schedule. "Home Alone," if anything, should go to the Movies & Mysteries Channel, as that channel shows several "Christmas classics" every year. There is no logical reason why the "Mrs. Miracle" movies -- not to mention "The Christmas Ornament" -- should be left off of the July schedule, but "Home Alone" is scheduled multiple times. It makes no sense to me. I am guessing that Hallmark made an agreement to air "Home Alone" a certain number of times when it acquired the rights to show it. I understand your concern over whether or not certain movies will be aired. The full schedule has not been released yet and movies like "The Christmas Ornament" are only a couple years old and was one of the higher rated movies of that year. There really is no reason to believe that it won't be on the schedule a couple times. As far as Home Alone goes it usually comes down to "rights". For example Hallmark may have the rights to show Home Alone now as it is out of season and is cheaper to pay for the rights to show it but probably not have the rights to show it in December. Kind of like the way NBC has the rights to show "It's a wonderful life" on christmas eve. It is also the same reason CMT will show National Lampoons Christmas Vacation every other day in April. They could afford to do it then and no channel wants the rights to it in the Spring. It is the same way for Elf on USA and a Christmas Story marathon for TNT. Many of these "rights" contracts are for 30 days. That is why you won't see any one else showing those movies during the specific timeline so it doesn't mess with their viewership for the night they show it. ABC has the rights to the classic Peanuts holidays, CBS has the rudolph and frosty rights then they allow ABC Family to air them at a later time. My point is I wouldn't be surprised to see that Hallmark won't have the rights to Home Alone this Christmas season but have access to it for Christmas in July (it is usually on the ABC family schedule anyways). I hope I didn't confuse you. I am so confused??? Where is the complete schedule. Laste I heard the complete schedule hasn't been released yet so how do we know specific movies are not on the schedule? Okay, if you go to the main Hallmark Channel web-site and type in a movie, in the search area, such as The Christmas Ornament, - you will visit that movie page, with it's description, Cast details, photos, etc... Then to the right if it says "View All Showtimes" - then you know that movie will have an upcoming air date. It is possible, it still may air, and this is simply an oversight, but we will have to wait and see - when they add in the rest of the schedule next week! I've been checking back about 15 minutes to see if the new schedule is up yet. Can't wait!!! That is true Christmas dedication! I love it! I'm looking forward to the movies, of course... but mostly I'm really looking forward to all the previews for the new movies coming this upcoming Christmas Season! It's gonna be great!!! Thank you for following my site, Clark! I feel just the same, Tracy! I can't wait for it to come and then I never want it to end! I love everyone's genuine excitement. With all the bad stuff on TV, it's wonderful that Hallmark gives us these fun, sweet movies, whether some are good or bad... to watch with our families! just thinking about this starts getting me excited to see movies that really cliqued with me like "One Christmas Eve, Boyfriend for Christmas, Let it Snow, Love at the Thanksgiving Day parade, Trading Christmas, Moonlight & Mistletoe and Its the most wonderful time of the year!......Would love to see HMM show "A grandpa for christmas" with the late Ernest Borgnine. Last year Starz channel had the rights for that movie. Oh my goodness, tvh... Every movie you mentioned - is a favorite of mine, too! Plus, I would also love to see "A Grandpa for Christmas" return to Hallmark! Love that one!!! I just searched for the Grandpa for Christmas and it will show July 8 at 5pm (could be eastern time). Whooohooo! You wont be able to watch dear santa(lifetime) or 12 dates of christmas(abc family) as they are made by different network than hallmark. I assume those networks still have the rights for their movies as they are only a few yrs old. That is exactly right, tvh. Unless, Hallmark purchased the rights to these movies, we won't be seeing them on the Hallmark Channel or Hallmark Movies & Mysteries. I don't consider it to be probable... Although, Hallmark did air Eloise at Christmastime, in the past, and that is a Disney movie... so of course, anything is possible! Btw, Anonymous... I also enjoy both of those fun movies! Plus, I like "A Family Holiday", (on Lifetime, with Full House's Dave Coulier) as it has a great Hallmark or UP-TV family movie feel. I will have to check out Family Holiday. the rights "thing" is tricky subject. Usually a network will have a movie and have approx 10 years rights to it. But if a production company owned the rights o a movie (their $ and trademark, etc) they can sell the rights to a company for a certain amount of time (could be month, year or decade). Some movies are not very succesful or older and will end up on another network or optioned to local netwrks. I can see Eloise being a time issue (2003) or could be because Disney doesn't have the rights for it in July but plans to bring it back for ABCFamily's "25 days of Christmas". I just saw that a "Deck the Halls" a mystery movie will be on HMM. I will have to check it out. I guess it was a TNT holiday movie. Didn't know they made any?! Yes! Deck the Halls is a TNT original Christmas movie. I remember watching it when it first premiered. The story is based around a mystery/hostage situation. Thanks for the Christmas in July movie list update!!! I don't see Cancel Christmas, which is one of my favorites. Any plans to show it in July? Doesn't look like it - this year. It is a nice, heartwarming story, with the teen boys, in the movie. Thank you for this list! I wish there was a way to watch them online. For everyone in the eastern time zone, The Christmas Card will air at 9 PM on July 11. If you are in the central time zone, it will air at 8 PM. The entire list above is in the Eastern Time Zone. Yes, it was first mentioned that the Christmas Movies would be 24/7 - but they are keeping the nighttime schedule - as is. I would have liked to have seen those nighttime sitcoms go - for at least the week - during Christmas Keepsake week! yes I agree there is to much little house and waltons shows on they need to put something else on the hallmark during the week. They need to put family movies on two or three times a week. They could put the waltons and little house on another channels. I'm sorry - I'm not sure how to set that up, but it might help you to do a FILE > PRINT > PREVIEW and then you can choose the pages you wish to Print. Yes! Agree! I wish they, at least, would do one movie every night! You're welcome, Trina! My Joy! Thank you so much for your comment! I love reading all about your enthusiasm for Christmas Movies and Decorations! I also love that you light up for Christmas in July inside and out!!! God Bless You, too... and Happy Christmas in July!!! Another bummer. Moonlight & Mistletoe will not be showed! Oh well. Can't expect all of them to be shown. Dear Net Blogger, first let me thank you for the wonderful message from 2 Chronicles 7:14. 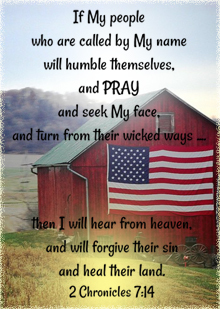 We all need to pray for our country and the leaders. I especially love your ability to let us know what is good and what is questionable for viewers to watch. I feel we cannot go wrong with your suggestions. The Hallmark movie I saw lately after I recorded it was about the fireman and the cat that brought him to a lovely young lady. Lots of messages in this movie. Again many thanks for you help. Peace and love and have a blessed holiday. Oh, thank you for your comment. It pleases me so that my site has helped you. I do my best to only recommend what looks to be good and decent, and warn viewers, when it appears something isn't. The movie with the fireman & cat, that you described, is The Nine Lives of Christmas. It has become one of my many favorites! I'm so glad you enjoyed it, too! Have a very Happy Christmas in July!!! Not sure about Finding Christmas but Christmas Angel if your referring to the 2009 movie that was a Lifetime Channel movie (it may be too soon for Hallmark to acquire the rights to the movie) or if you are referring to the 2012 Christmas Angel with Kevin Sorbo & Della Reese then that was actually shown on the GMC (now it is called UP). Which day is Home and Family previewing all of the 2015 Christmas movies? It was fun to see Home and Family also do the Christmas theme, during Christmas Keepsake week. I'm just glad it's not on 3x in a row now, like in June. I do like the two show airings, especially when I miss something on the day before. I personally would love to see more movies, instead of some of the rerun shows they air. Hallmark needs to air more popular movies in the evenings! Yes! It would great if they could bring back, at least one movie every weeknight! Wonderful job as always. I just wish Hallmark would put all of their movies together on the Hallmark channel. We don't have the Movies and Mysteries, and will miss again this year, our favorite-The Town Christmas Forgot. Oh, I know that is hard. I would love for them to offer HMM in Standard Definition, on DirecTV, so it would be easier for viewers to get the channel. I would love for them to air all month long in July, but that won't be happening, at least not this year. And, you are right, according to Hallmark's press release, we were expecting 24/7 during this event, but when the schedule came out, it unfortunately wasn't. How come your schedule is different than the guide on TV? I didn't know this or I wouldn't have set my alarm to be up to watch Anne Tyler's Saint Maybe! I was looking forward to it! Instead I turn it on and got a movie that I found extremely boring. I very much look forward to your Christmas movies. My family laughs cause after October 31 my TV in my room is on 1 of the Hallmark channels unless it's between 1:00-2:00. I truly hope that come this year's programming your schedule will be the same one as the TV schedule! Please get this fixed by then. I apologize for this inconvenience for you. Some of the movies on early Saturday morning got switched around at the last minute. I follow the schedule direct from both the Hallmark Channel and Hallmark Movies and Mysteries websites for my site, but sometimes there are last minute changes and I do my best to update those, as well. It sounds like you are a true Christmas Movie lover... so, I hope you thoroughly enjoyed Christmas in July! Last weekend the guide on my TV was all wrong during the night, but your guide here was right. Thank you. I think more people need to stick together, and tell them they want more family shows on just maybe they might put some on besides reruns all the time. yes I guess we all will be watching reruns for the next three months until November, they just won/t put family movies on just on week ends.some times people want to watch family shows on hallmark,hallmark movies that is. Christmas in July was great as usual. I was hoping for more shows but I'm ready for Halloween night. I just wanted to put this out there for fans of The Christmas Card. I'm a 53 y/o male and I really like this movie so I decided to give iTunes a look the other day and lo and behold, there it was. For $2.99 it was well worth the price and now I can enjoy this classic any time I choose. Hope others go and purchase this show, maybe iTunes will add others. Thanks Net, love the blog! I bought this last year and we love to watch both movies. yes they just won\t put any hallmark movies on during the weeknights I guess we will have to wait for Christmas. it just to munch to ask for more movies during the week. they just have / to have all the reruns on hallmark for months. I do not enjoy, nor do I watch Christmas movies all year long. As a child, I recall Christmas programs/movies were aired between Thanksgiving and Christmas Day and they were special occasions that my family enjoyed very much as a part of the Christmas Season. I hope we can return to that. Airing these programs all year long diminishes their value. Our family uses DVDs more than television program during the Christmas Season. I think that everyone has to do what works for them. It's a personal choice. If people want to watch Christmas movies all year long, or out of season, that's fine for them and they should be able to. If people don't wish to watch anything holiday-related until after Thanksgiving, then they should not watch. I think that all of us, as children, enjoyed Christmas movies and other things only post-Thanksgiving. At that time there were not as many movies being made for TV, and the season was not quite AS big of a to-do on TV as it is now. At that time, I don't think anyone realized that they could watch Christmas movies and enjoy Christmas things before Thanksgiving, and that it would be perfectly fine to do that! While I don't watch Christmas movies all year long (I don't consider 10 days in July and 2 months at the end of the year to be all year long), I am delighted that I have more options now as to when to watch them, and I am thrilled that so many new movies are being made each year. If anything, the extended celebration of the holidays outside of just December has made my seasons even more special than they were as a child. I think I look forward to the last 2 months of the year much more now than I used to in the past.